Baby Mourning Dove Admitted — Raptor Education Group, Inc.
A tiny Mourning Dove was hatched a few days before in Wausau during harsh weather. Her parents didn't return to the nest. 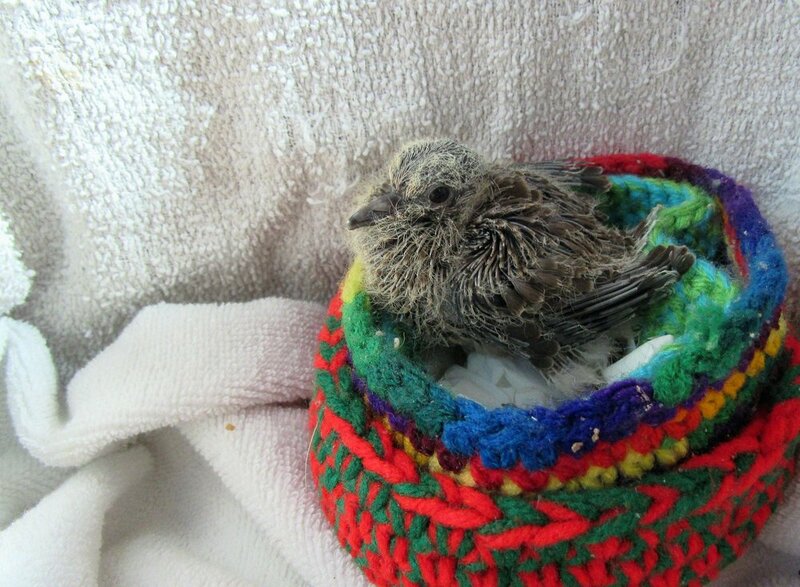 Her sibling died in the nest. This tiny one was saved and driven to REGI. Two unrelated orphaned baby Mourning Doves are being nurtured by a female Mourning Dove as the adult heals and the babies grow.. It is a beautiful thing.